GUANGZHOU, China: September 12, 2018 – Soon after ZWCAD 2019 faced the world last month with powerful new features, ZWCAD Mechanical and Architecture 2019 are now standing on the stage. l You can draw, align and renumber standard-based balloons easily, and take only one step to create a BOM. l Mechanical Symbols and Part Library containing screws, nuts, washers, pins, rivets, springs, etc. greatly save you hours of work and improve your design accuracy. l Various construction lines can be used as references to create other objects and make drafting easier, and can be deleted at one time by ZWMERASECL. l The usability of annotation functions, especially the Mleader has been further improved, and information such as material of the standard parts can be showed in the newly-created balloons. Know more and try it now! l Automatic Layer Landing helps automatically place items on the correct layer, and apply color and linetype as you create your drawing. 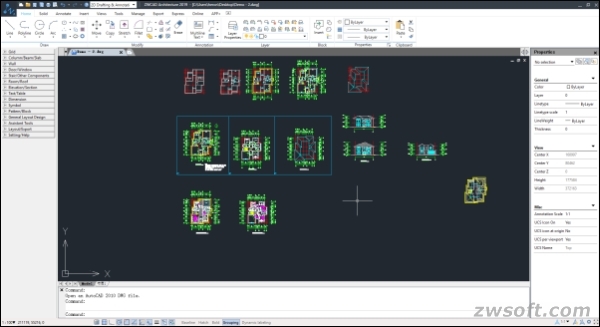 l All of your components can be viewed in 3D, which remains consistent with your 2D plan. l Built-in Block Library including hundreds of components such as furniture, kitchenware, appliances, vehicles is available for you to detail your plans with ease. 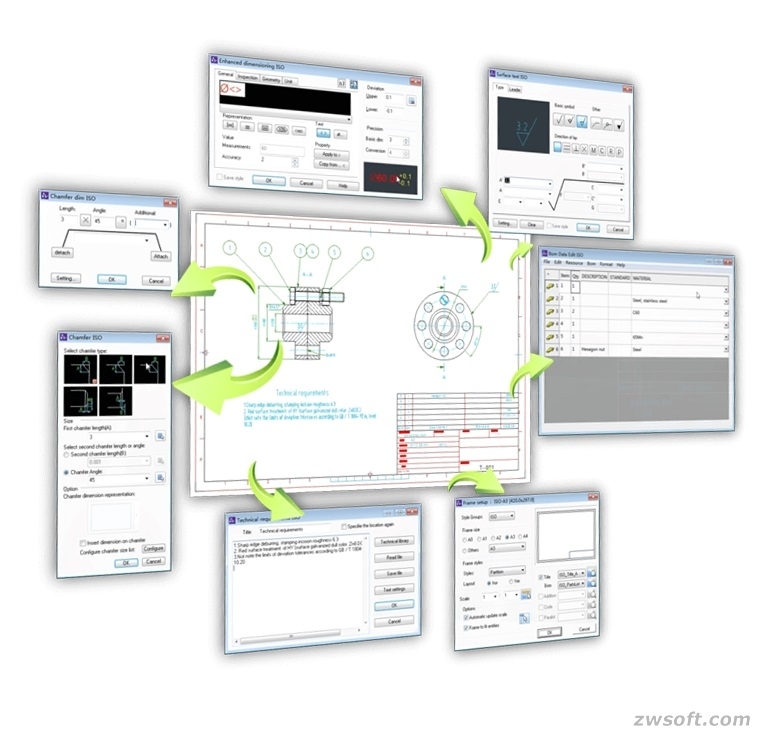 Developed by ZWCAD Software Co., Ltd. (ZWSOFT for short), ZWCAD is a powerful, reliable and DWG compatible CAD solution for worldwide users. It provides innovative, collaborative and customizable features to designers and engineers in various industries such as AEC and MFG. Available in 15 languages, ZWCAD has helped 900,000 users from 90 countries create amazing things.